It was full house or rather full Kraftwerk on Monday, 9th April. 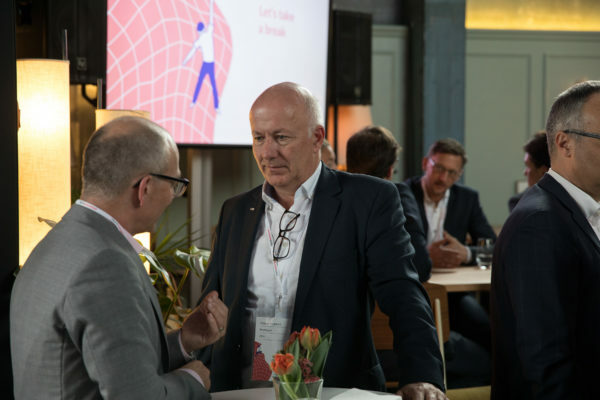 Invited guests from business, politics, society and academics gathered to assess the results of the first round of the digitalswitzerland challenge and to officially launch the second round. The evening of the Demo & Pitch Day was all about innovation, the importance of failure and above all, moving Switzerland forward. 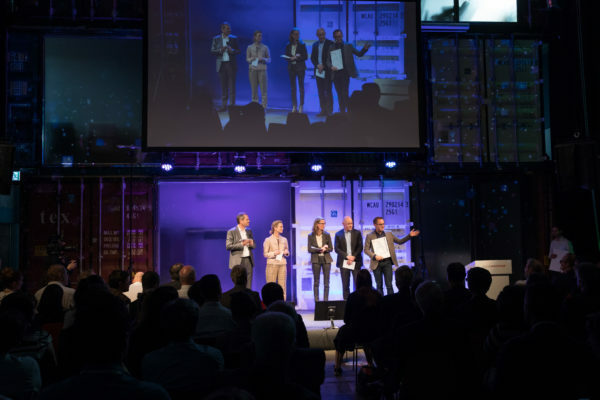 The digitalswitzerland challenge project was launched exactly one year ago. 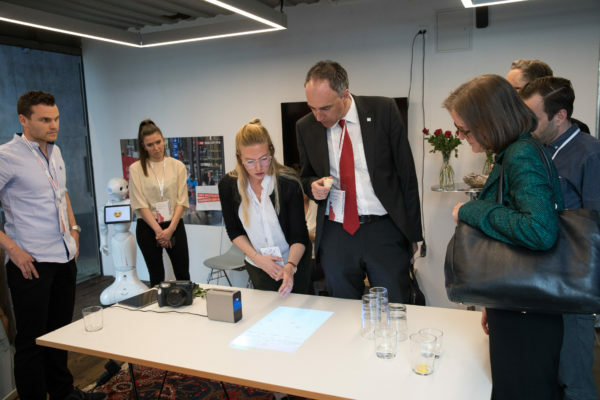 A total of 18 key projects involving digitalisation in Switzerland were ready for launch on 3 April 2017. 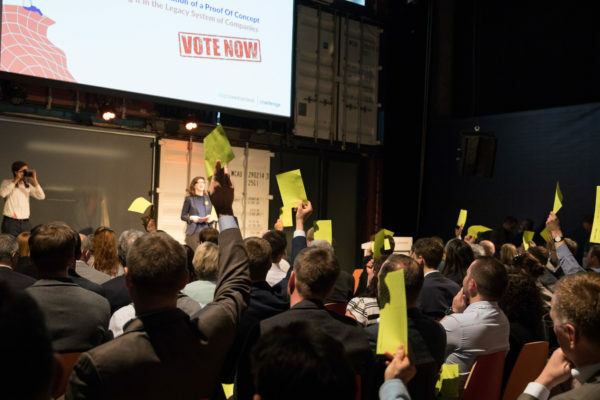 Over 80 influential partners from the worlds of business, science and government took part in the projects, which were presented in the form of bets. They have been investing in the projects for a year now and the big question on Monday was whether it had all paid off. Eleven bets reached the finish line. Of these, four bets did not quite make good on their promises, but will continue to work towards their ambitious goals. In recognition of the work that they did manage to achieve, they received the «Prix de Persévérance». 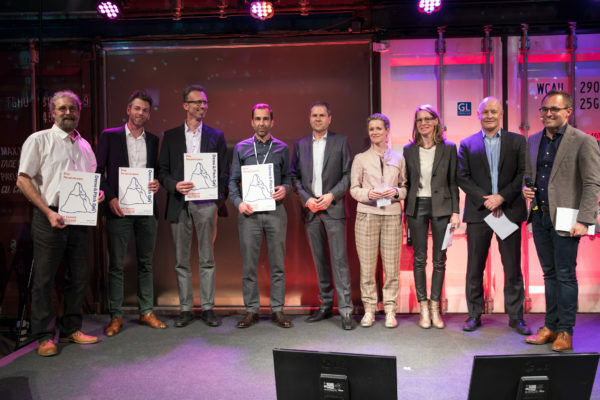 …selected the team working on E-Health bet Riva Digital as the winner of the first round of the challenge and presented them with CHF 10,000 in prize money. The main reason: The blood pressure team has not only won its bet, but is also creating a project for the general public. 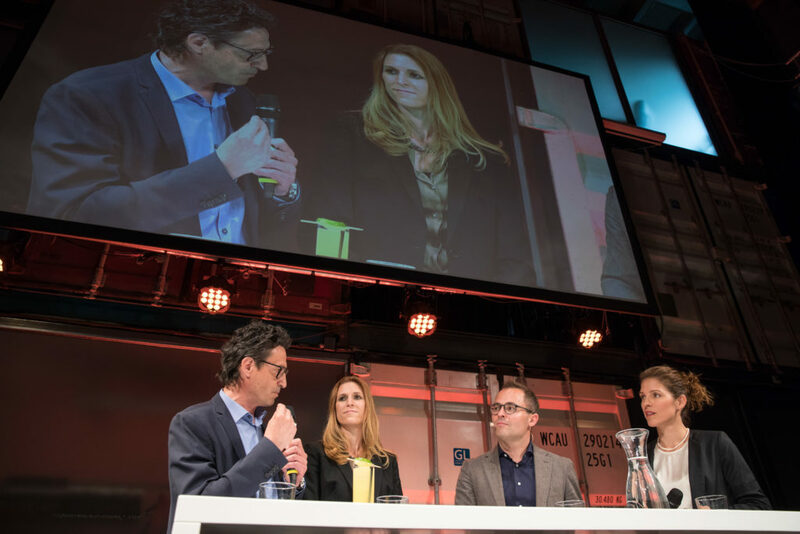 Riva Digital, a merger of 20 companies, including Post, Migros, Swisscom and the Schulthess Klinik, made a bet with the goal to establish a digital ecosystem to increase public health care with the long-term aim to lower blood pressure. The result is an app that can be used to measure blood pressure directly. With the help of an algorithm and the smartphone camera, measuring its own blood pressure will soon only take 30 seconds. A huge step in the prevention of high blood pressure, which can lead to heart attacks or strokes. 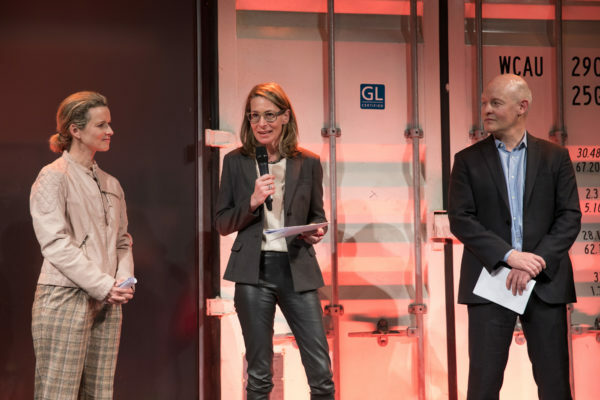 After the award ceremony, the futurist Georges T. Roos, Counselor of Geneva, Anja Wyden Guelpa and Head Development and Innovation Claudia Pletscher discussed the question of how innovation turns into reality. 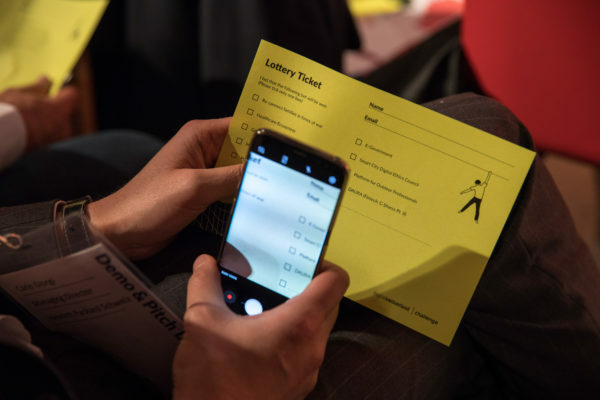 Second digitalswitzerland challenge: And Go! 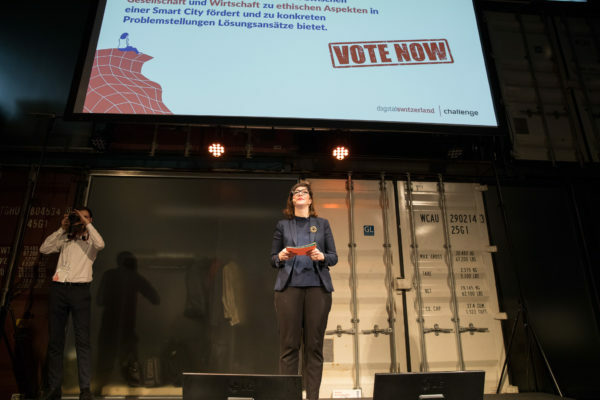 Inspired by what is possible when interdisciplinary teams work together on projects, which pave the way for a digital future, new companies and organizations pitched their bets in front of the public, which directly voted for the idea – if convinced that the idea has potential to make proof of feasibility. What to expect for the next round? 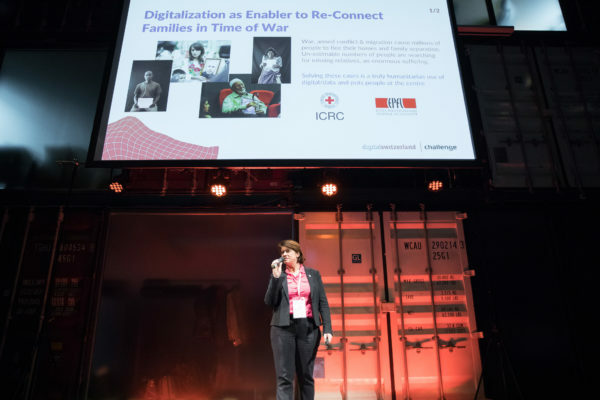 Be it a bet in the humanitarian field with the aim of finding missing people with the help of big data, or the aim to push an e-government, the new bets set high expectations for the next round. We are eager to see, what will follow! Finally, maybe the question remain why all this effort about creating the challenge-format? Why not only let companies, organizations or individuals make their own projects? First of all, we all know so well that if we have no deadline or incentive to really push an idea forward and implement it, we tend to procrastinate: tomorrow is still another day. But actually, when it comes to digital innovation we don’t have the time to procrastinate, we are already late. So, in order to push for more innovation and new digital ideas, we created an incentive and if there is something to win, besides the pride of having created something great, it is easier to work hard. 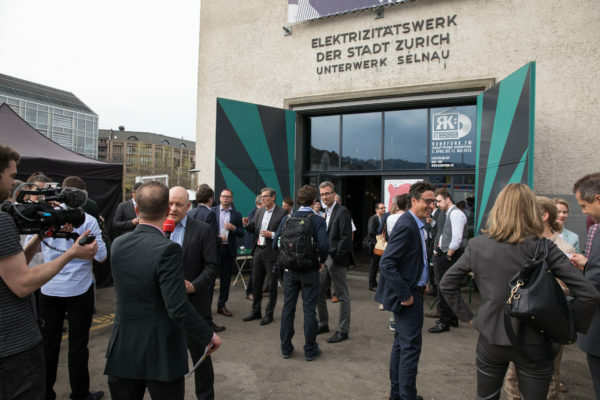 Second, digitalswitzerland provides a platform, where different players can connect and exchange their ideas. 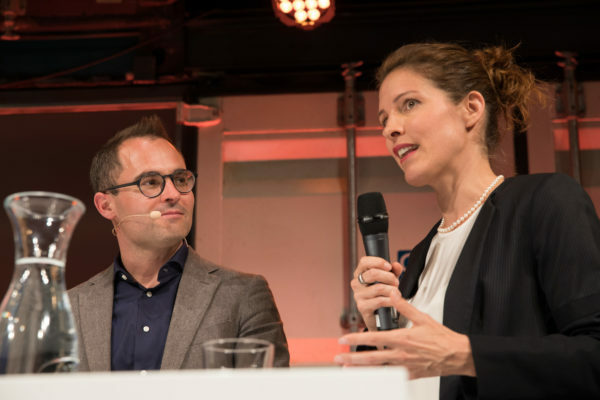 To facilitate this process and make it really bottom-up and inclusive, digitalswitzerland created a new open innovation platform. 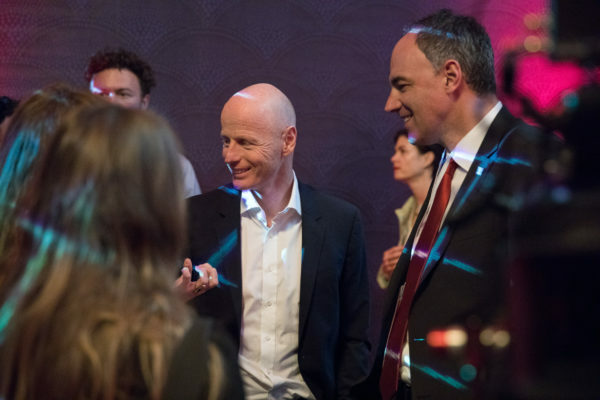 You can become part of the movement and help bring Switzerland forward, too! Join our open challenge and bring in your bet idea. You can find here the relevant media coverage and please sign up to our newsletter to stay up to date with the progress of the challenge and all things digital. 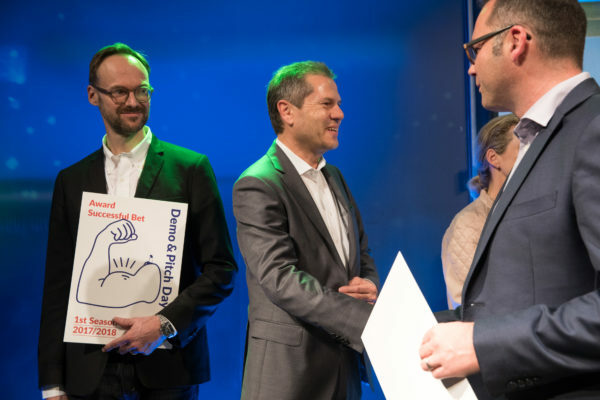 Some impressions from the digitalswitzerland challenge Demo&Pitch Day. 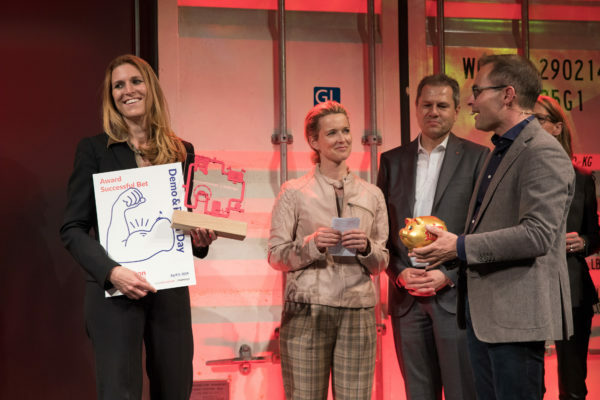 The post Big Challenge Demo & Pitch Day: The Winner is… appeared first on digitalswitzerland.